AJ McCabe Windows is a small, family run UPVC window and door Company based in Northwich, Cheshire, offering a personal, bespoke service to the highest standards. With over 28 years’ experience in the industry, we have an extensive knowledge base and are committed to delivering quality products and a first-class service, with our clients' satisfaction of the utmost importance. From quality window and door suppliers, to full conservatories or orangeries, AJ McCabe Windows can provide everything the homeowner requires to enhance their home to make a more enjoyable and efficient environment to live in. Aluminium products are low-maintenance and very durable. They are long lasting and very sturdy. 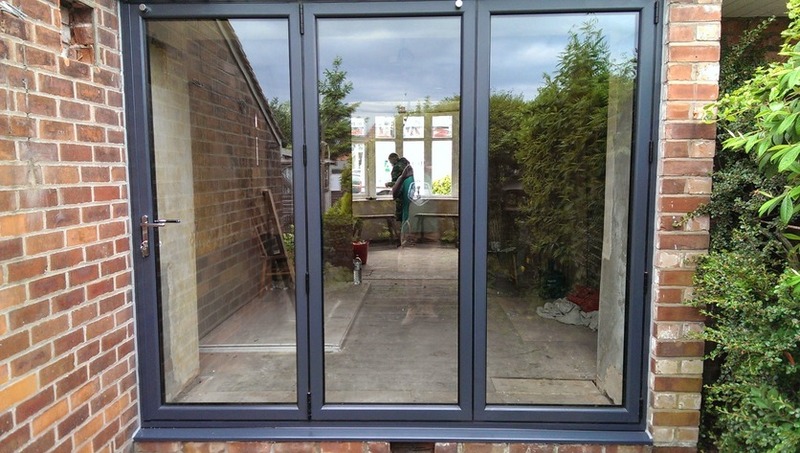 Aluminium is slimmer than PVC meaning that you can easily provide a modern and stylish look to your home. Choosing energy efficient windows is a cost-effective way to reduce household bills and conserve heat within the home. Under the UK BFRC Scheme, new windows are rated from A - C (similar to ratings found on new fridges freezers, washing machines etc.) The highest energy rating of a new window is A. Energy ratings provide homeowners with the relevant information needed to make an informed choice when purchasing new windows. AJ McCabe Windows install only A rated windows as standard. For more information on our windows click see more. Composite doors are ideal for homeowners wanting a top quality, long lasting door without the headache of regular maintenance. 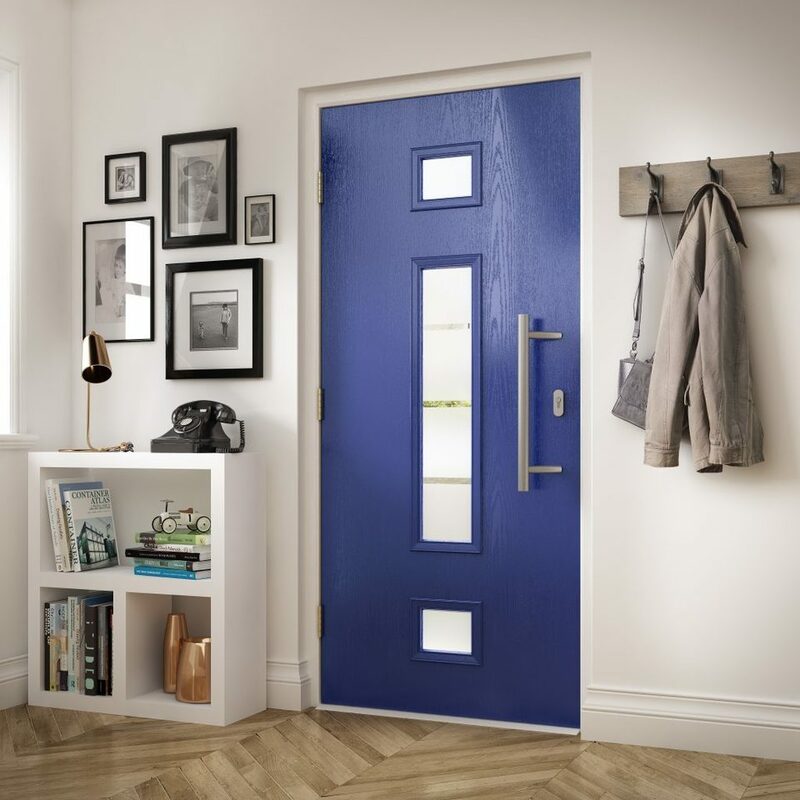 Composite doors stand the test of time with and come in a wide range of colours and styles, from contemporary to modern and will enhance the look of any home. Security is of the highest level, with multipoint locks tested to British standards. A smart home improvement choice! All our composite doors ensure good sound and heat insulation, keeping the heat in, and the bills down! AJ McCabe UPVC conservatories and orangeries are designed and installed to meet our clients' individual requirements and are of the highest quality. 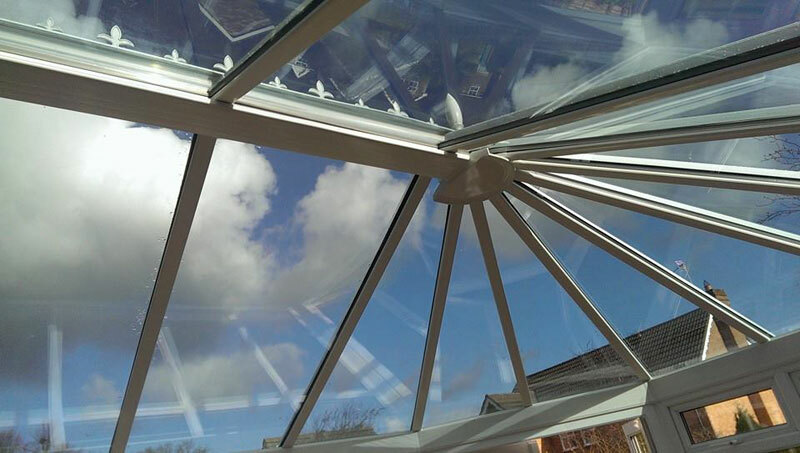 We use frames from Eurocell and our Ultraframe roofing system offers a choice of polycarbonate or glass roofing. We offer A-Rated Blue glass, an attractive blue tinted glass that combines self-cleaning with solar control. Ideal for conservatory roofs. Our UPVC conservatory bases have fully insulated floor slabs, as well as fully insulated cavities, ensuring warmth in even the coldest of winters. Additionally, the bricks in the base are usually matched to the original house bricks. We are a FENSA registered Company which gives our clients peace of mind that our company complies with all building regulations and offers an insurance backed guarantee for complying with improved thermal performance standards. This is a 10-year guarantee on all our installations. Additionally, all our installations conform to Document L of the Building Regulations which ensures conservation of fuel and power. Further information on FENSA regulations are available here. "We have used AJ McCabe Windows on a number of our houses and always receive a professional job of the highest quality. We will continue to use Andy on subsequent projects – highly recommended." D.J. "I am really pleased with the windows you fitted – you did a great job." M.
© 2018 AJ McCabe Limited, Northwich, Cheshire, is a company registered in England and Wales. Registered number 04928871.